Crimson Mission Gala THIS Saturday! The Growing the Mission Gala is this Saturday at the Kindred Atrium from 6pm-12am. Three “Friends of Manual” will be honored, and attendees will enjoy a plated dinner, open bar, silent and live auctions, trivia contest throughout the evening, a bourbon and wine wall and more. Live auction items include a courtyard parking spot – … Read moreCrimson Mission Gala THIS Saturday! The Crimson Mission, Inc. will host the 3rd annual Growing the Mission Gala, on March 10 at the Mellwood Arts Center. 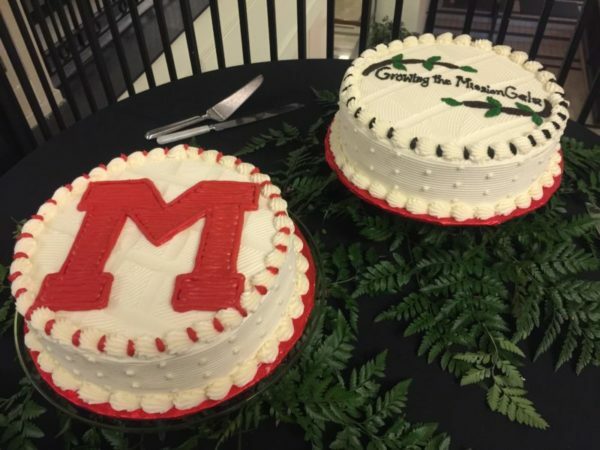 The Gala brings together alumni, parents, former parents and friends of Manual to celebrate our rich history, and to raise money to fund projects that will enhance students’ academic and extra-curricular experience. Read all about last year’s event here and check out the photos here. On Saturday, March 4, The Crimson Mission, Inc. hosted the 2nd Annual Growing the Mission Gala at the historic Henry Clay Building in downtown Louisville. Over 300 Manual friends and family attended this year’s Gala. Entertainment was provided by incredibly talented Manual YPAS students Nick Koenig, Gabe Wiest, Hannah Wagers, Harin Oh, Colin Crothers, Brooke Lynch, Geda Miles, Jeremiah Potter, Sam Feinstein, Camron Gooden, and Ford Smith. Chances for the Red/Blue challenge were purchased to win an autographed basketball from UofL or UK. Two signature cocktails were created for the event: Tito’s Vodka and Jaegermeister each developed a cocktail specifically for the Gala. Calling all Manual family members – the Crimson Mission will be participating in Give Local Louisville next Thursday, September 15! This is the PERFECT opportunity to support the students and staff at duPont Manual! No dollar amount is too big or small. All you need to do is go to www.givelocallouisville.org on Sept. 15 and find the Crimson Mission. You donate directly to us from this website. Why should you donate? Here’s why!